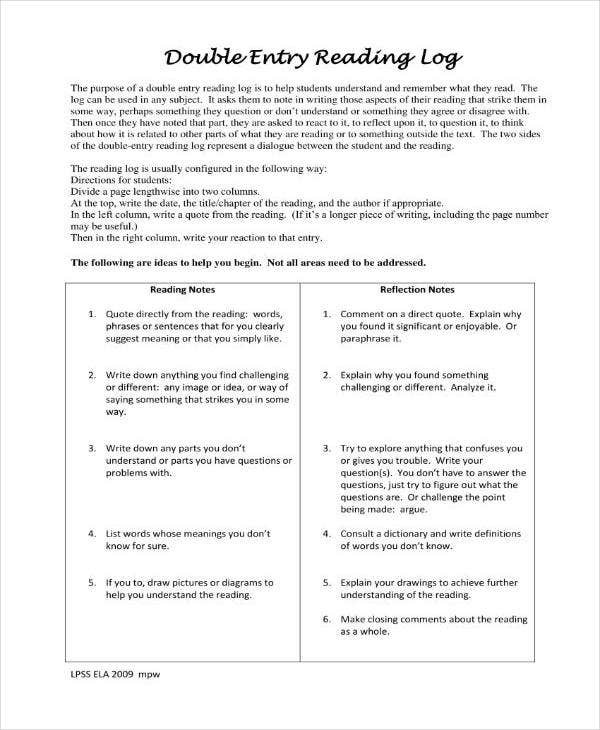 Reading analysis is a great tool for learning. Analyzing what you read allows you to delve deeper into what you are reading. You can either analyze an article or a literary piece and base on what you are reading, you also ask different kinds of questions. In both cases though, you will be asking questions. These questions often come up when there are certain passages that you deem important. Some questions come up when passages from your reading material just strike you at the right place. You may also see academic journal templates. What are double-entry journals exactly? For starters, there are two kinds of double-entry journals. In the field of accounting, double-entry journals could also mean double-entry bookkeeping system, a system of bookkeeping which requires an opposite and corresponding entry to a different account for every entry of an account. In academics, a double-entry journal or a dialectic journal is a kind of journal that is divided in two. The left column is where the summary of the original text go and the right column is for the ideas, questions, and reactions. For the purpose of this article, we will focus more on the journal’s academic use. You may also see printable bullet journal templates. 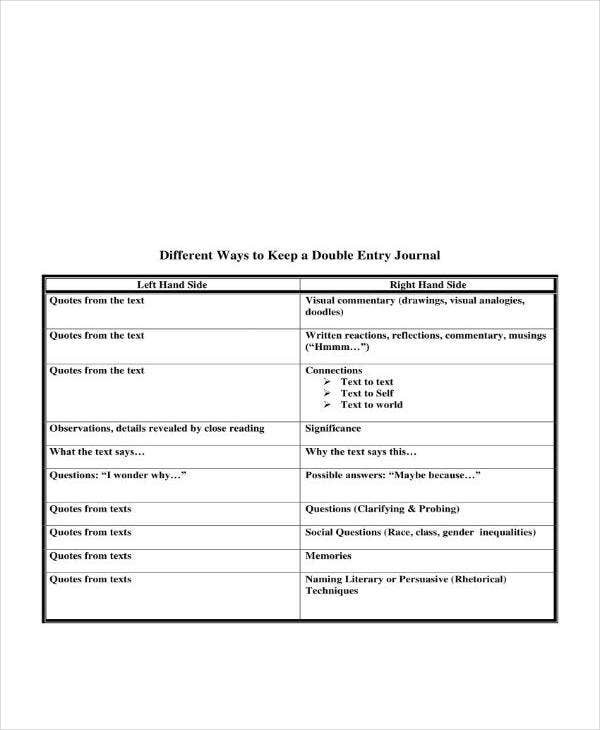 The Double-entry journal method is a great teaching tool because it encourages students to give more time to read and think critically about the ideas and concepts presented in the material. This information can be used as a starting outline and information for essays, debates, and other discussions. 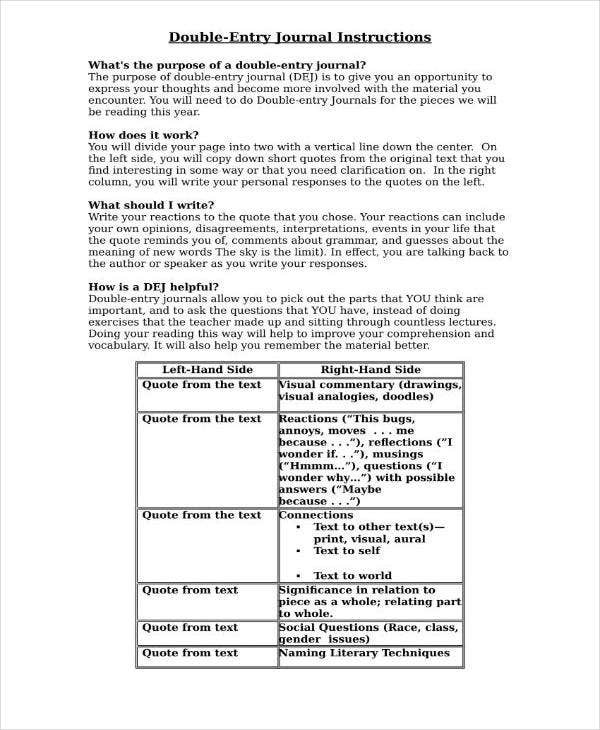 Compared to simple questions being asked by the teacher about the text, it is the students who will be asking their questions. It will be the readers who will be picking out the parts that they think are important, the questions that they think are worth answering. You may also see free bullet journal templates. Doing so regularly would help improve comprehension and vocabulary skills. Furthermore, as creating a double-entry journal requires a close reading of the material, readers will have no choice but to take the material by heart an in doing so, they will be able to remember the material better. You may also see general journal templates. 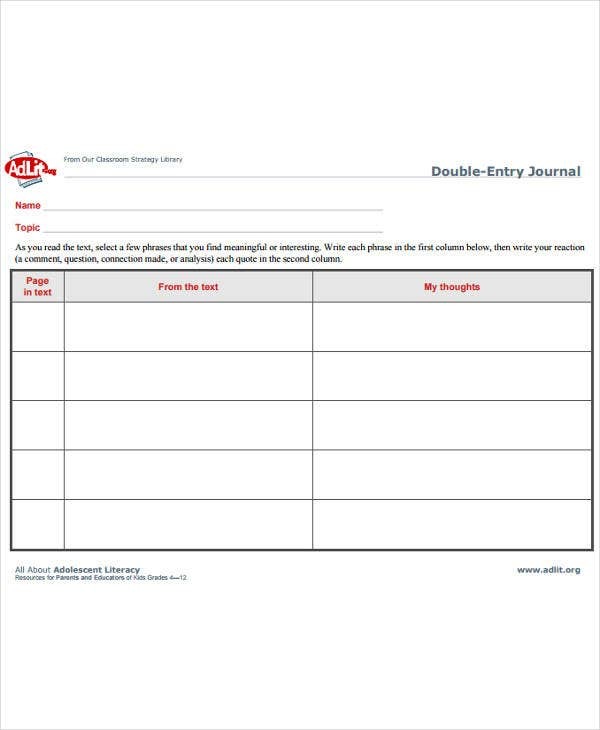 Creating a double-entry journal is easy. You just need to divide a piece of paper into two parts. As state above the passage from the reading material would be copied to the left column. They can either be summarized or copied verbatim. You then write your inputs of the passages on the corresponding right side. If using a notebook, you can dedicate the whole left page as the left column, and the right page as the right column. 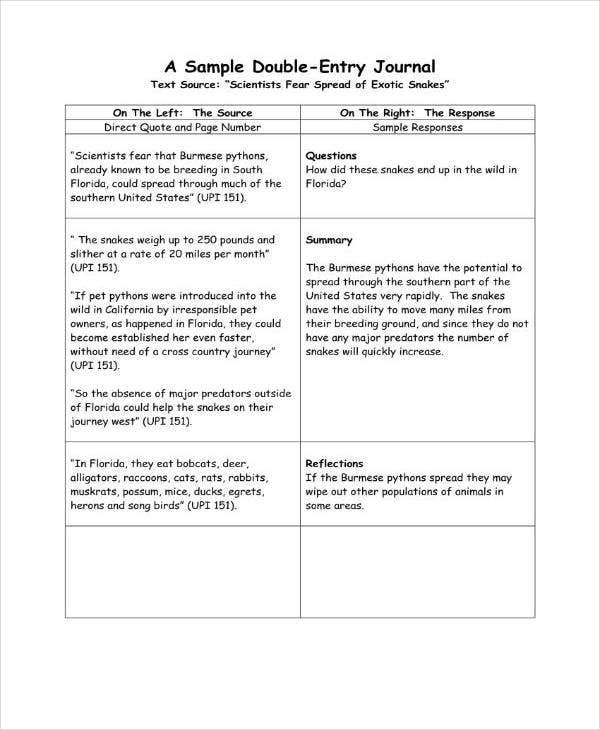 If you still have not got a grasp of how the double-entry journal works, the downloadable templates on this page can serve as your guide. They are also customizable so if you want a printout of multiple copies, you can simply download and use them. 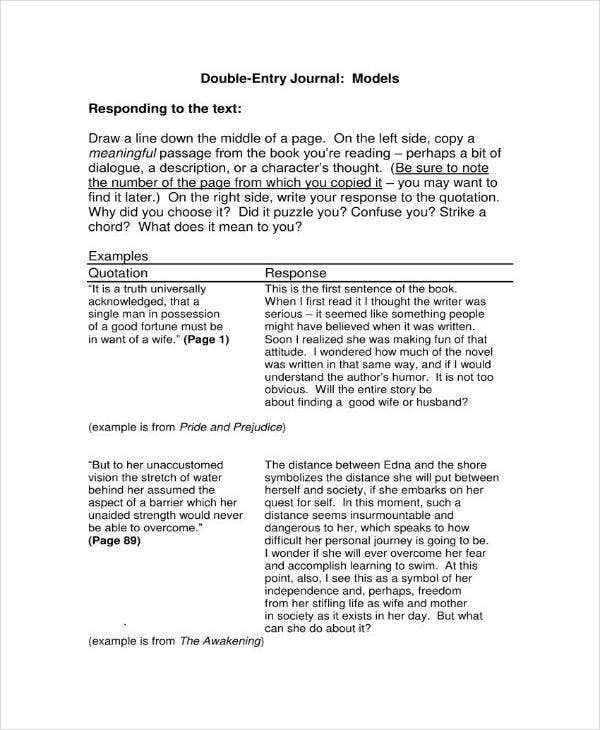 You may also see journal writing templates. Napoleon Bonaparte once said: “A good sketch is better than a long speech.” In other words, a picture is worth a thousand words. There are cases that when reading the text, we are introduced to a visual concept in text form. Drawing a small diagram, graph or sketch as they are described in the text would be a solid way to get a grasp of how they look. When reading a text, there are parts that may stand-out. We often find ourselves asking the significance of this lines in the overall story. We can write these questions on the journal to track where these questions lead to. You may also see food journal templates. Finding connections in the text is one of the more satisfying things in reading. It gives readers a sense of pride when they are finally able to connect to what certain lines on page one mean to the overall story especially in mystery novels and works. 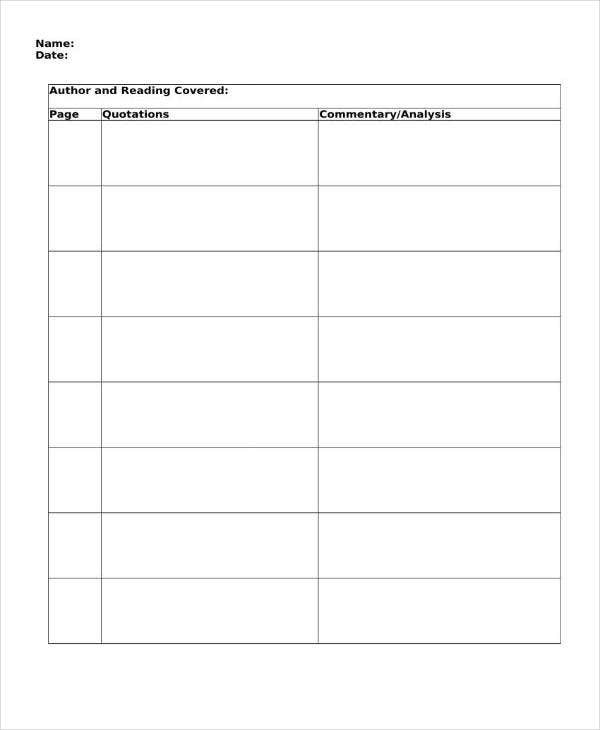 You may also see sample food journal templates. To keep their work interesting, compelling, and weighted, writers often employ the use of literary devices. If we are studying writing, we can keep track of these passages and name the literary device used in order to create a deeper understanding of their purpose. Naming a literary device can also help us learn what that part of the passage really means. You may also see prayer journal templates. Ideas are often generated when reading. As such, we can often stumble on an idea for a paper through reading. Other times, we can relate passages or lines on a thesis we are working on. We can also use the double-entry journal to remember which these passages are and what to make of them. You may also see garden journal templates. 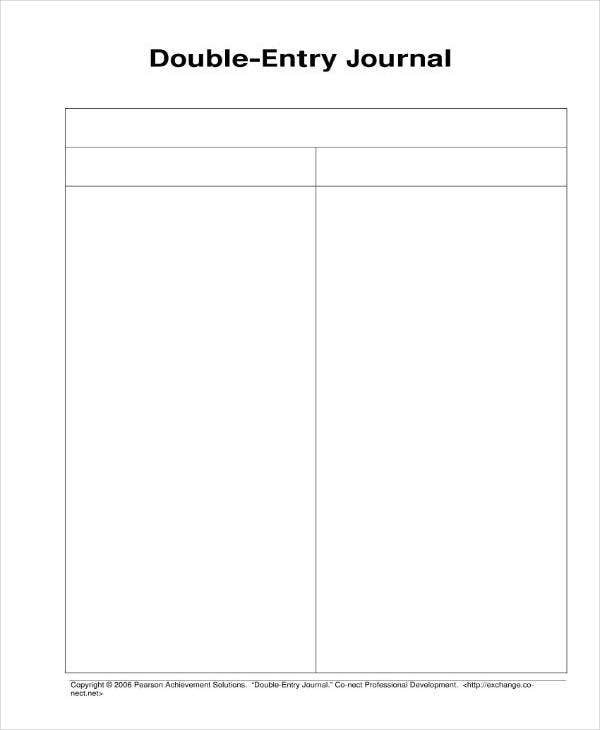 The double-entry journal looks like a very simple format. This simplicity, however, hides the fact of its great potential as a tool for teaching and learning. 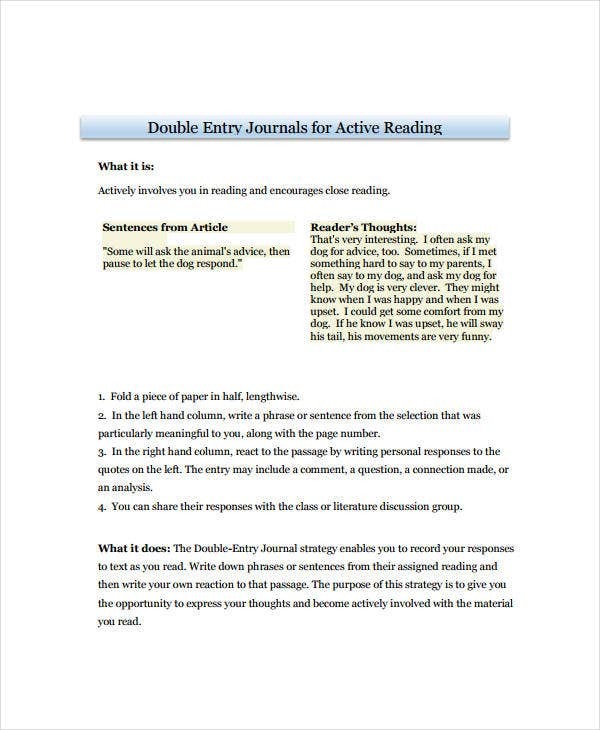 The constant and regular use of a double-entry journal sample will be beneficial to everybody, especially to students. Teachers should introduce this to their classrooms as these will encourage students to not only read closely but also to read critically. 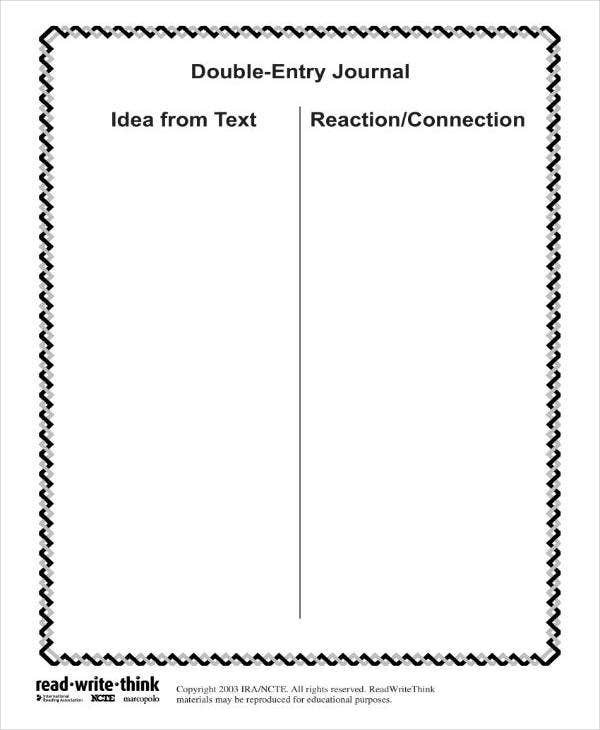 A double-entry journal will encourage the students to find that the meaning of what they are reading is not only found on its surface. It teaches them that meaning can also be found in literary techniques, connections of passages, their questions and even their reactions. It allows them freedom of thought by asking questions on the material and not accept it just as is. You may also see travel journal templates. Finally, regular use of a double-entry journal can instill to them a love for reading or even just a love for the material as they will be forced to examine the text critically, clearly and closely. Through these examinations, they will be able to find something in these works that relates and resonates with them. Through these examinations, they will independently find a goldmine of ideas that will affect how they view their world for the better. There is no better lesson than that. 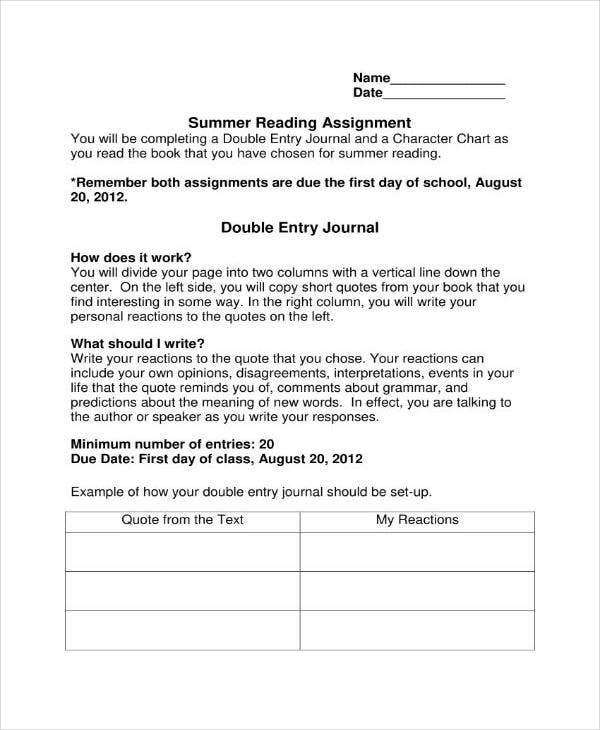 You may also see reading journal templates.